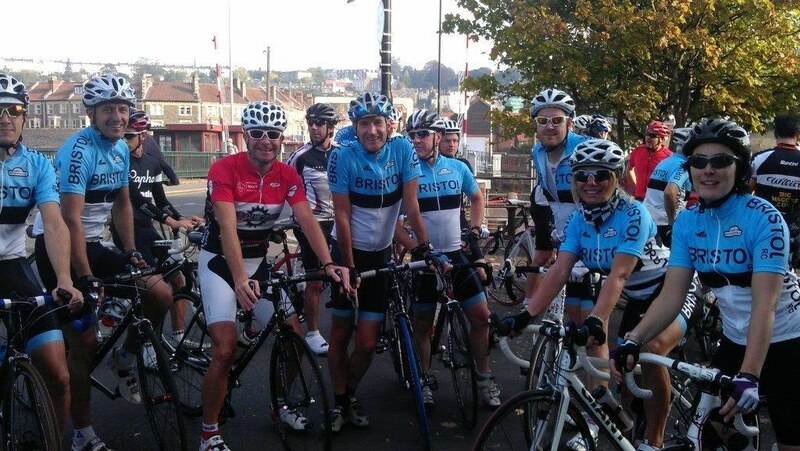 Rides dedicated specifically for new members are aimed at people who are new to cycling in groups, who are interested in joining the club and group riding. You should be a competent and confident cyclist used to doing distances of at least 50 miles regularly at an average speed of 15mph. These are training rides but they do have a social side. Each new member ride will be led by an experienced club member who will be happy to support you during the ride. They are not usually qualified coaches but maybe able to give you some tips if you want them. New member rides are not designed for those who are new to cycling or for children. Sky and British cycling organise Sky Rides which cater for new and inexperienced cyclists and children, details at http://www.goskyride.com. These rides are on the first Saturday of every month. We post a reminder on Facebook in the days leading up to the next ride. Rides start from BW Cycling at 9.00. Please aim to arrive at 8.45 and ask for Brian or Danny. We return to BW between 1pm and 2pm. BW Cycling opens from 7.00 am on a Saturday so you can buy energy bars, spares etc on the morning if you need them. They also have a track pump you can borrow. Read the section on group riding on this website. Email Brian O'Kelly (brian.okelly@bristolroadclub.com) and Danny Cox (dannycox1965@gmail.com) to give them an idea of your experience and let him know you will be coming. On the day it's important to have a good breakfast to avoid the dreaded "bonk" (running out of energy) which is common for those pushing harder over longer distances for the first time – we have all done it. Bring drink, 2 water bottles if the weather is hot, and energy bars or similar as snacks. You'll also need money for the café stop, and a phone and some ID in case of emergency. We normally ride for around 50 - 60 miles, with around 1,000 to 1,200 of climbing, over 4 and a half hours including a café stop at halfway. These are training rides. You need to be a competent and confident cyclist used to doing distances of at least 50 miles regularly at an average speed of around 15 miles per hour. Do I have to ride a road bike? No, but most people do and are preferred. Hybrid bikes are ok as long as they are not too heavy and the tyres relatively thin (otherwise you will struggle to keep up). Mountain bikes are not suitable. Please make sure your bike is roadworthy and you have spare inner tubes, tyre levers, multi tool and a pump (worn tyres are the biggest cause of punctures). If you have aero bars on your bike you’ll be asked not to use them when riding with the club. We rarely have mechanics ride with us, but will help where we can and make sure you can get home safely. How fast are the rides? The speed varies depending upon the group and the route. On the hills the groups tend to break up a little as we go at our own pace and then regroup at the top. No one gets left behind. A fair average is around 15 mph for the whole ride. This compares to the clubrun which averages around 16/17 mph and the elite group which averages 18 + mph. On average, you will ride 1 or 2 mph quicker in a group than on your own. Do you rotate so that people take a turn on the front? Generally yes, but this depends upon who is riding and there is no compulsion to do so. We have various routes including to Cheddar, Usk, Tintern, Slimbridge and Fenny Castle. The route chosen is normally decided on the day based on weather, wind direction and where we went the previous week. Can I leave the ride and come back early? Yes, but please let the leader know before you do. I am new to the club do I have to wait until the first of the month to ride? Not necessarily. The dedicated new member rides are once a month. If you have never ridden in a group before you should wait for one of these. If you are confident in a group, for example you have experience with another club, you are welcome to do join the clubrun on other Saturdays: e mail Brian as above. Please note, if you are dropped from a clubrun, the group may not wait for you, so if you are unsure whether you can hold the pace, the new member rides are a much more suitable starting point, as no one gets left behind. Cyclists love talking about cycling and sharing their knowledge. Don’t be afraid to ask, whether about kit, nutrition, riding tips, racing, best places to ride, which sportives to do etc. There is a huge amount of knowledge in the club with many members still riding having joined in the 1960s: we have members who are ex-pro’s, people who have won national and world championships, as well as those who race track, road, time-trial, cyclo-cross and mountain bikes.